Be it the renovation of your house, or construction of a new project property on your commercial site, or be it simply your home cleaning day, one thing that’s common is dealing with enormous amounts of garbage waste. In case of renovations and constructions, it is in the nature of debris, hazardous materials, metallic waste, etc. While in the case of home cleaning it consists of sewage, old worn out furniture, etc. And dealing with any of these kinds of waste is equally troublesome as it poses a number of challenges such as time and cost constraints, space constraints, workload problems, etc. To solve all the problems arising out of waste management, you have two options to choose from. One is that you can hire the services of a professional Garbage removal company and outsource the entire garbage management process to them, right from gathering up to disposal. While the other option is to hire a residential dumpster, which is a container shaped garbage disposal vehicle which offers you ready garbage disposal at your doorstep. Garbage or a junk removal professional company specializes in the entire process of garbage management, from gathering or loading, right up to its hauling and disposal. These companies load and haul absolutely any given type of garbage materials as instructed by you, be it a heavy cupboard, a refrigerator or any old furniture items. However, in the case of Dumpsters, since you have to do all the loading part, it becomes practically impossible for you to lift such heavy articles without any assistance. The professional garbage removal companies provide a flexible cost structure in all of their advertisements, which state that the costs depend upon the nature of the garbage material, i.e., its weight, size, volume, etc. to be loaded and hauled. The larger the volume and weight of your waste, the greater will be the cost, and since large articles occupy a very small proportion of your household waste, the cost structure just perfectly suits your requirements. Waste articles like cupboards, mirrors, glass teapoy, etc. which can create a terrible mess if dropped accidentally. If you try to gather such delicate but heavy waste articles all by yourself, it will obviously lead to some of the other accident and thereby will increase your waste. However, professional companies have well-trained personnel which masters in lifting and loading such heavy, delicate articles. The main aim of outsourcing garbage management process is that it requires a whole lot of time and effort to do it yourself. Whereas a professional company consists of trained, efficient personnel which quickly moves all the waste as per your instruction thereby solving your time problems. Also, the hauling process is instant as well. Most of the times, household cleanups have quite a less quantity of waste which doesn't require huge dumpsters for loading and disposal. Thus, even the smallest size of dumpsters ends up underutilized in such cases. On the other hand, professional companies provide a flexible cost structure as per the volume of waste and therefore it turns out way too much cheaper than a dumpster. The laws governing certain areas make it mandatory to have a permit to be able to rent a dumpster, which is a huge disadvantage for renting dumpsters. Because you don’t need any sort of permits to hire professional garbage removal services. As mentioned above, dumpsters are garbage containers of varying sizes, either independently mobile or installed behind a truck. Such dumpsters come in different sizes like 10 Yards, 20 Yards, 30 Yards, and 40 Yards. While 10 and 20 Yards dumpsters are suitable to undertake household clean-ups, the 30 and 40 Yard dumpsters are suitable for larger garbage management like in an industry or in projects involving renovation of a house, construction of a new house, etc. 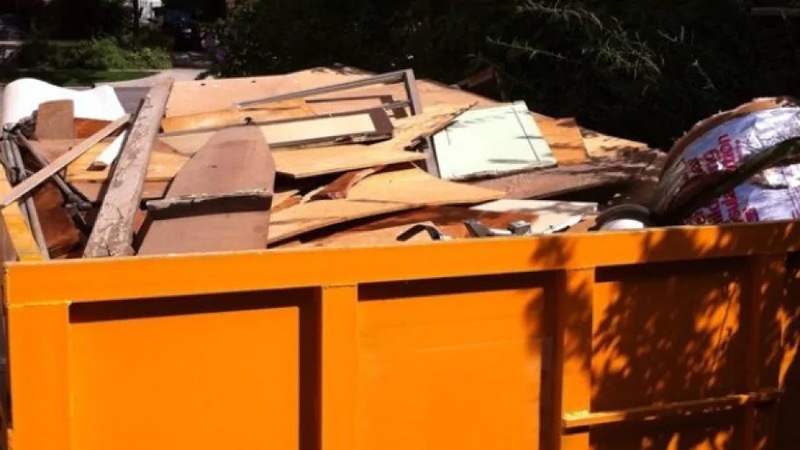 You can rent a dumpster on a weekly rate basis, but depending upon the laws governing the area in which you live, you might require a permit to rent a dumpster at your house. Even though Professional garbage removal companies load whatever garbage materials you point at, it often happens that you miss out on something and then it remains unattended forever. Because such companies load and haul in a one-time process. However, if you’ve hired a dumpster, you can load different garbage items at different times until you have the dumpster, thereby eliminating the need to do it all at once. Managing heavy, hazardous debris at construction sites is obviously impossible for the manual labor force. However, it is a safer and efficient process with the use of damage proof dumpsters. Thus, the use of dumpsters not only eliminates human risk factor but also simplifies the entire process. When there’s a huge quantum of waste time be dealt with, like debris, rubber tires, injurious materials, etc. Hiring professional services will obviously cost more due to its flexible cost structure. However, you can fit almost everything in a single dumpster if you choose the ideal size. And because the cost per dumpster cannot vary with the quantum if waste dumped in it, the dumpster proves to be perfectly ideal in such case. In the loading process under a dumpster, you just have to keep putting the garbage in the dumpster without the need to segregate it into wet and dry waste or biodegradable and non-degradable waste, hazardous and non-hazardous waste, etc. All this segregation is done by the company professionals, and then disposal is done. No garbage removal company handles hazardous waste like aerosol cans, radioactive materials, lubricant oils, etc. No dumpster company will allow you to dump those in their dumpster, but they definitely provide you with the best possible ways to deal with such hazardous wastes. Thus, if you’ve properly observed the pros of dumpsters and feel that they’re better than hiring professional garbage removal services, then you can look up various residential dumpster renting companies online. If you're living in Houston, Texas, then you can hire a dumpster from https://houston.bintheredumpthatusa.com/home for your garbage management. The garbage management process is really a troublesome one, especially when you are busy in your daily routine. To solve this problem you have two options, one is hiring professional garbage removal company services, and the other is hiring a residential dumpster. Both these options have their own pros and cons when compared with each other, while dumpsters are suitable for larger quantities of waste management, professional garbage removal companies are suitable for small custom garbage treatment at the household level.